A manhunt is underway to find the owner of an American bulldog who was starved to within hours of death and dumped on the side of the road. RSPCA inspectors rescued Oscar, the seven-year-old dog, from a busy road junction in Stockport, Greater Manchester. 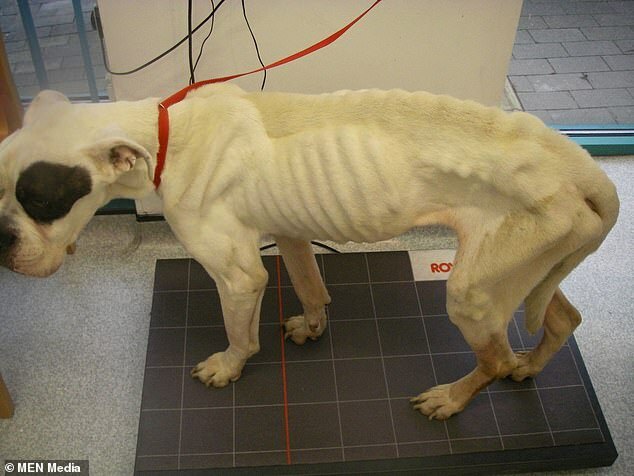 The dog weighed half of his expected 45 kilogrammes when he was assessed by a local vet. 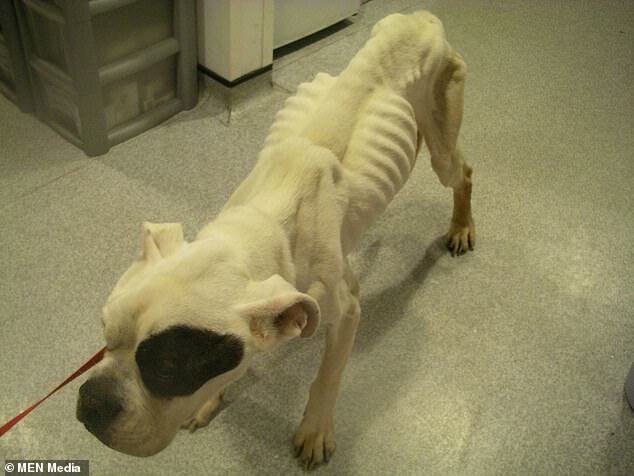 Inspector Nadine Pengilly said the ‘gentle and friendly’ dog is ‘literally a skeleton’. She said: ‘He’s so emaciated. In my 16 years as an RSPCA inspector, he’s the skinniest dog I have seen that wasn’t dead. He was 12 to 24 hours away from death. Oscar was initially placed on a drip for 24 hours before being fed small amounts of food without making him sick as his stomach may not cope.